Lisa Moses, a bioethicist and veterinarian at Angell Animal Medical Center in Boston, distinctly remembers the difficult situation early on in her career: A Rhode Island family’s beloved young pug had a brain condition for which treatment was rare. Moses had to break the news that treating Popeye could only be done on the West Coast — a situation that put the family in an awkward financial position. “They were very working class, from a humble situation and not a lot of money to spend on veterinary care, even though they desperately loved their dog,” she said. That scene weighed not only on the family, but also on Moses as the animal’s health care provider. And she isn’t alone: Balancing the medical needs of animal patients with the financial and emotional ones of their human owners is not only a common quandary for veterinarians, but also can have a negative impact on their mental health, according to a new study coauthored by Moses and J. Wesley Boyd, a Cambridge Health Alliance psychiatrist and Harvard Medical School researcher. The study, the first to investigate moral distress among veterinarians in North America, is being published by the Journal of Veterinary Internal Medicine this month. The survey of 889 veterinarians found that those who responded reported widespread ethical conflict and moral distress, which might be “an important source of stress and poor well-being,” the study states. 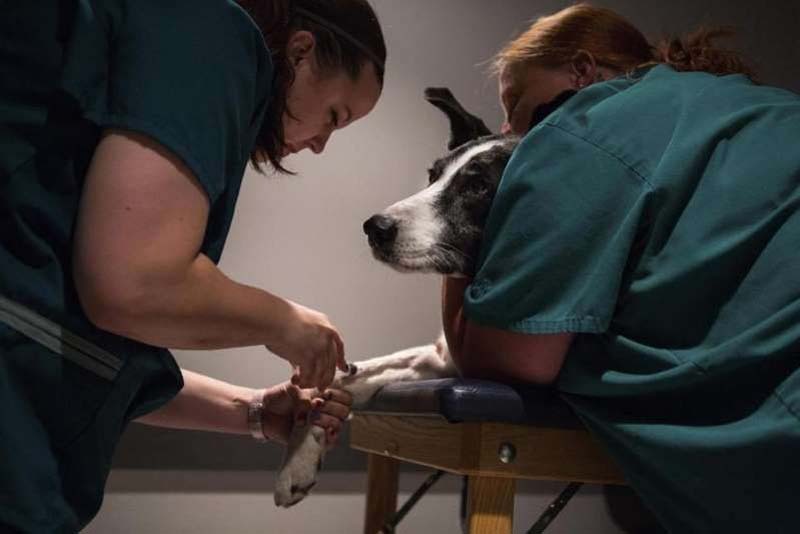 The study found that 69 percent of veterinarians had moderate to severe amounts of distress at not being able to provide the right care for their animal patients. Nearly a third of veterinarians who participated said they “often” had conflicts with pet owners, and almost as many reported receiving inappropriate requests related to euthanasia. “I believe that common occurrence of having your personal moral compass challenged on a regular basis is a real dragging force,” said Moses, who said she has frequently encountered such situations over her 25-year career. However, few veterinarians said they had received training about how to cope with those feelings, according to the study, and only 11 percent said they sought professional help after feeling like they could not do the right thing. More than a quarter said their empathy toward their animal patients waned over time, and nearly a third said their empathy lessened toward the human owners. The study suggests that the same tools used to treat moral distress in human health care could also be adapted to help veterinarians. The responses also prove to be “a clarion call for increased awareness” of moral distress, and show that more instruction on the issue is needed for veterinarians in training, the study says. As for Popeye, things ended up working out: The couple were able to scrape together the money to fly their beloved pug out West to get the treatment he needed.